Where to get your next lunchtime fix! 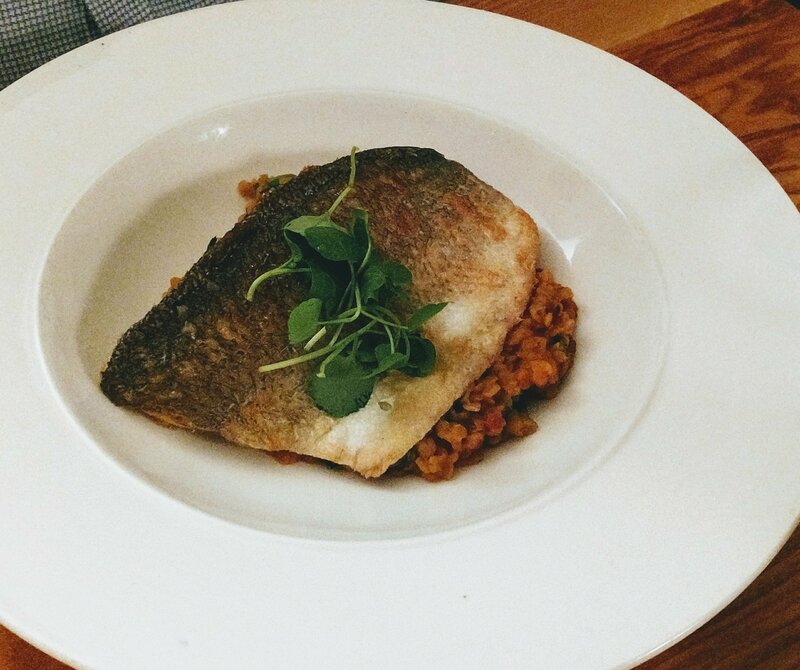 Five of the best fixed price lunch offers near Cardiff Central Station. 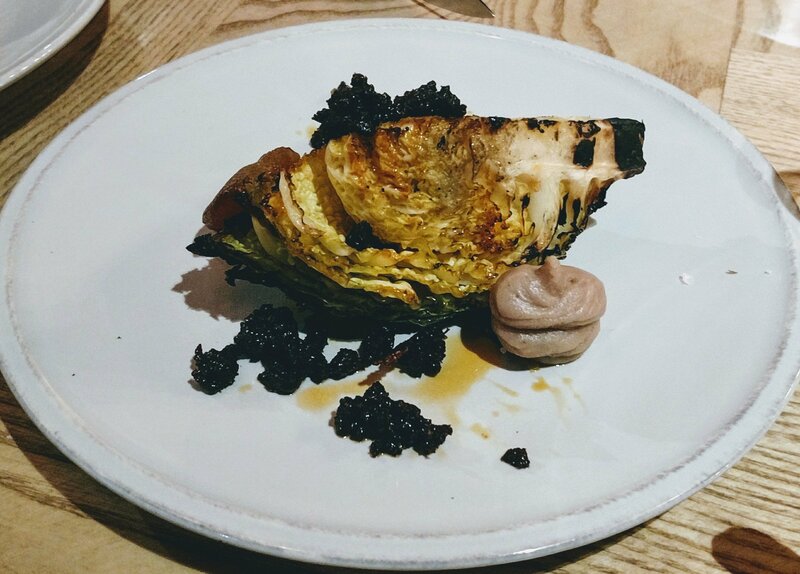 Whilst I tend to agree with Jay Raynor’s view that Bristol currently has more to offer food wise than Cardiff (not really surprising as it is a much larger city – but then again look at Donostia San Sebastian), I did rile somewhat against a piece he wrote a while back on the rather nice sounding Wilsons in Bristol. He joked in it that the best place to go for a good meal at lunch time in Cardiff city centre was the train station (as it allowed you to get on a train to Bristol). He was clearly wound up by somewhat of an overreaction (in my view) in the local press and on social media in respect of wider comments he had made, as to the Cardiff food scene, in his otherwise very complimentary piece on the Classroom. 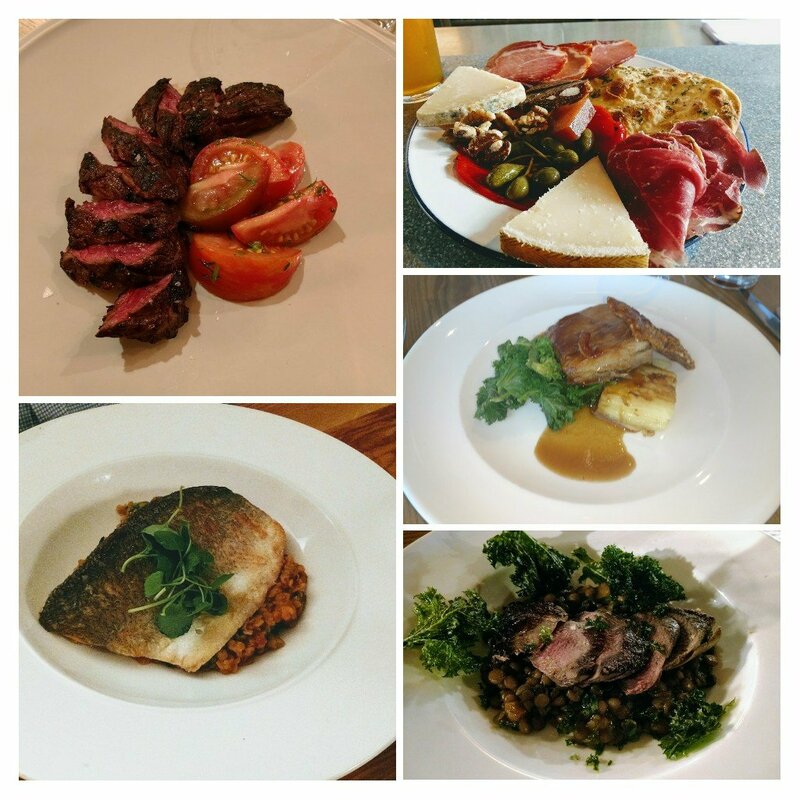 Personally I thought the first piece was a tad harsh, but ultimately probably a fair critic of the Cardiff food scene (we are slowly, but surely, getting there albeit with a fair way to go to catch up with Bristol). The comments as to Cardiff in the second piece (whilst clearly said with his tongue firmly in his cheek) did, however, seem to be a bit of an unnecessary dig. The reference to something along the lines of “if you want a decent lunch in Cardiff, best get on the train to Bristol” was (I thought at the time) somewhat of an odd statement, bearing in mind that two Cardiff establishments (the Classroom and the Potted Pig) he has actually had rather nice things to say about are within easy walking distance of the station. This and the fact that I have moaned a bit (par for the course I know) about the price of a burger lunch at the re-opened Philharmonic (citing, by way of comparison, other places that offer fixed price lunches) got me thinking about my favourite places (within an easy stroll of the train station) to grab a good lunch at a fixed price (love a bargain me). So where are the places you can go to in the city centre, that offer a good meal at a fair fixed price which is less than or not much more than the cost of a train ticket (single) to Bristol (which is, if bought on the day, £12.90 for a train that gets you in to Bristol at 12.51)? 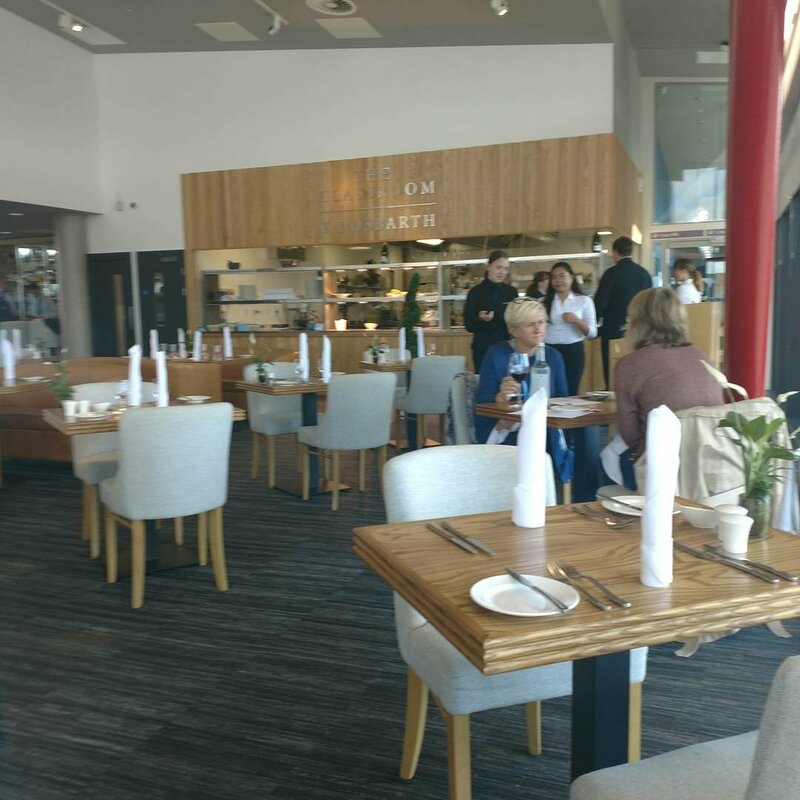 Below are five recommends for a good fixed price lunch less than half a mile (5 mins walk at a brisk pace – OK maybe 10 mins if you amble or if you have short legs like my friend Rachel 😀) from Cardiff Central train station. 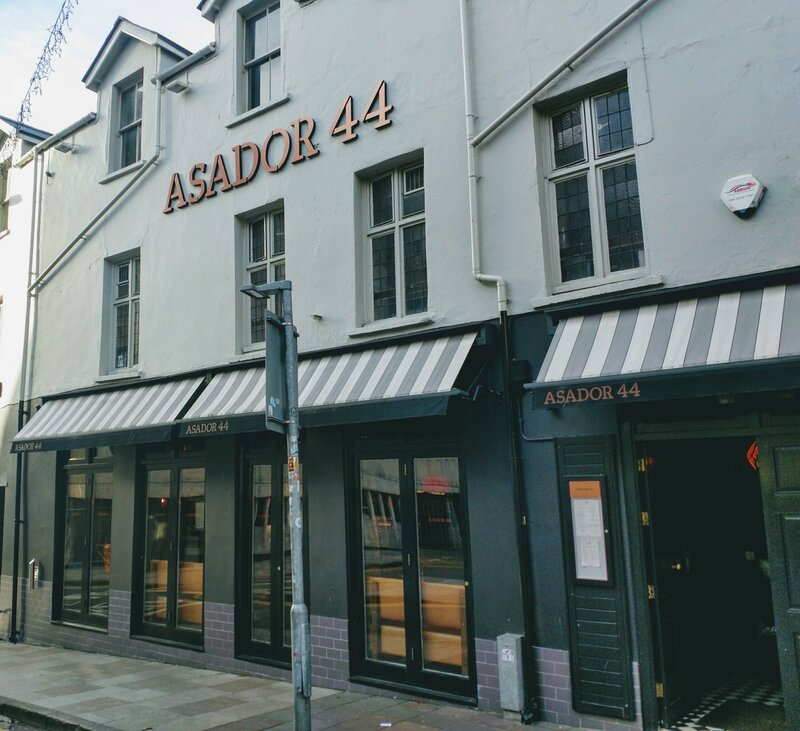 Cardiff’s take on the classy asadors of Northern Spain by the guys behind Bar 44, Asador 44 is raved about by pretty much everybody who has been to it and has got itself into the Good Food Guide at the first time of asking (richly deserved). 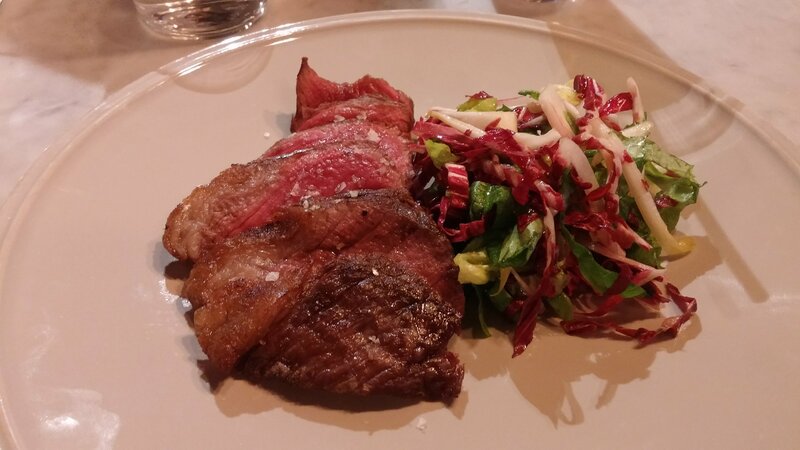 Fabulous in the evening, when dreamily good meat (the Rubia Gallega is something else) and seafood (mmmmmmm those carabinero) are on offer, they also do a pearler of a (recently expanded) fixed price day time offer for the princely sum of £10 for one course, £15 for 2 and £20 for 3. With these you get a generous side (usually chips seasoned with jamón salt – oh yes – but they are flexible if you fancy something else on the side front). For the price (as little as a tenner for a top quality steak with a side) this is a stunner of a lunch time deal. Puds look quality (not been enough of a pig to go all three courses at lunch as yet, but give it time). 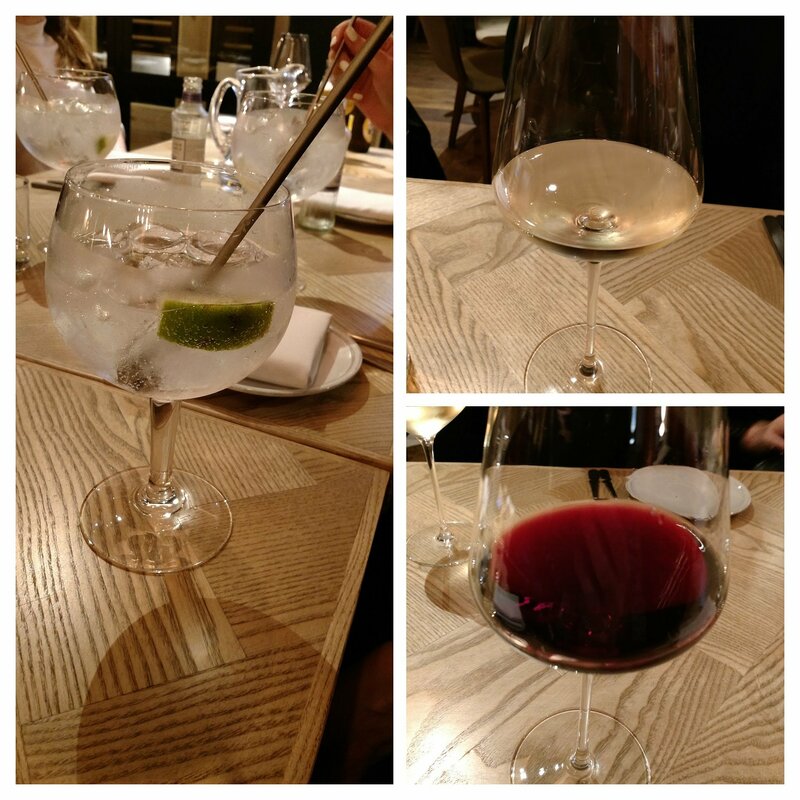 including their £5 “Sommelier Selection” glass or even a G&T. 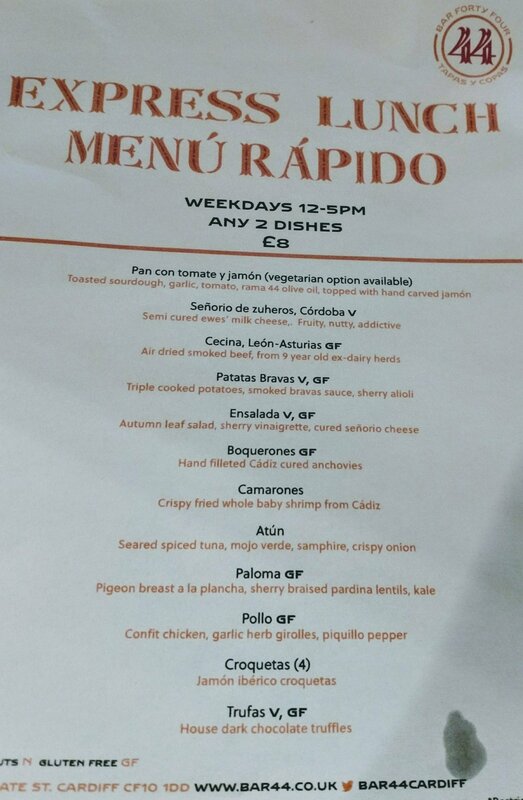 I love this place for lunch and a most welcome feature is that the offer extends to Saturdays – bravo Asador 44 for that. I defy you not to be a happy bunny after eating lunch here. 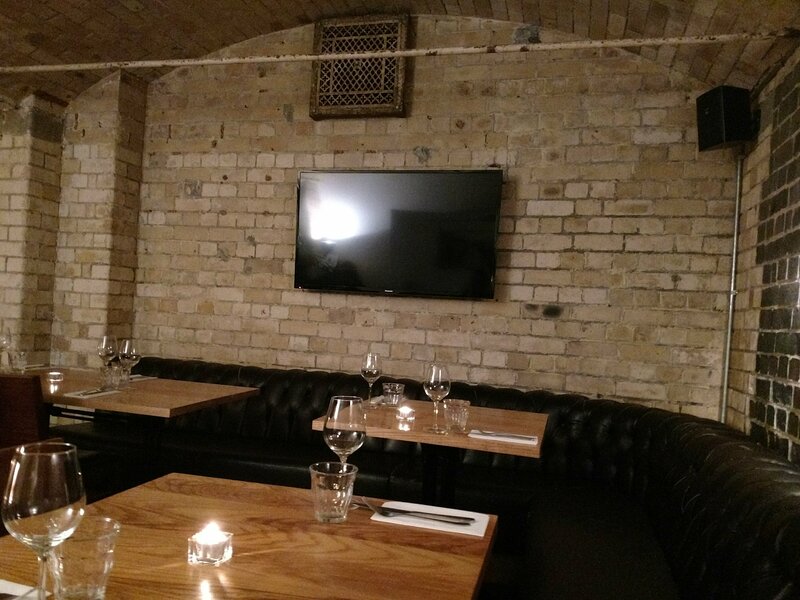 A somewhat unobtrusive doorway and stairwell leads down to a rather pleasant vaulted cellar dining area in a restaurant that serves up some rather fine lunch time fodder. 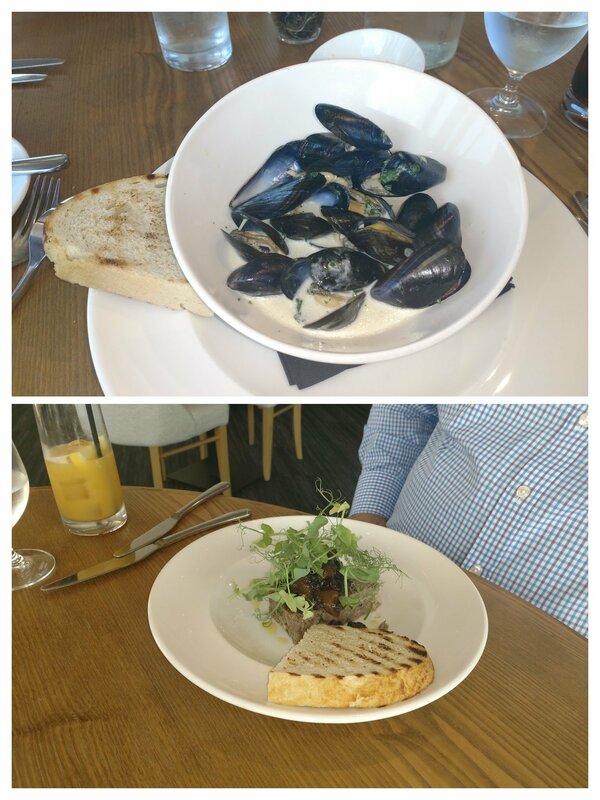 The £13 (for two courses – £17 for 3) lunch menu, which changes regularly, provides for a choice of 4 starter, 4 mains and 2 puds. 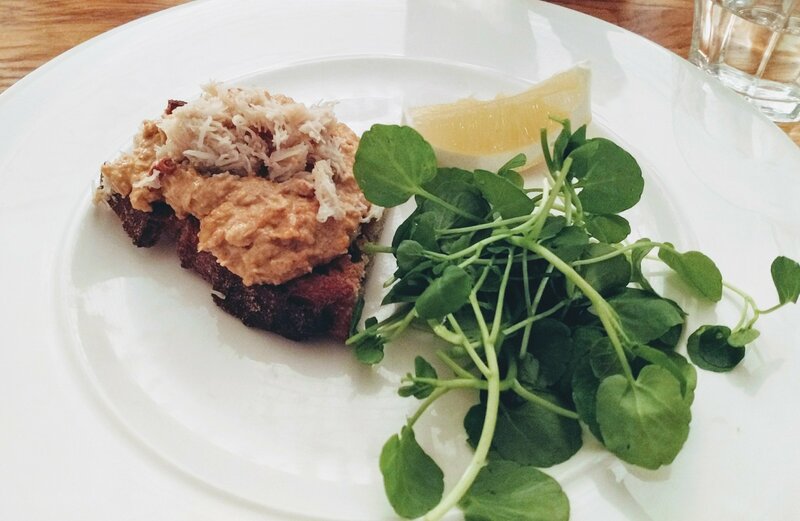 It offers a nice choice of comfort food and stuff a touch more sophisticated. 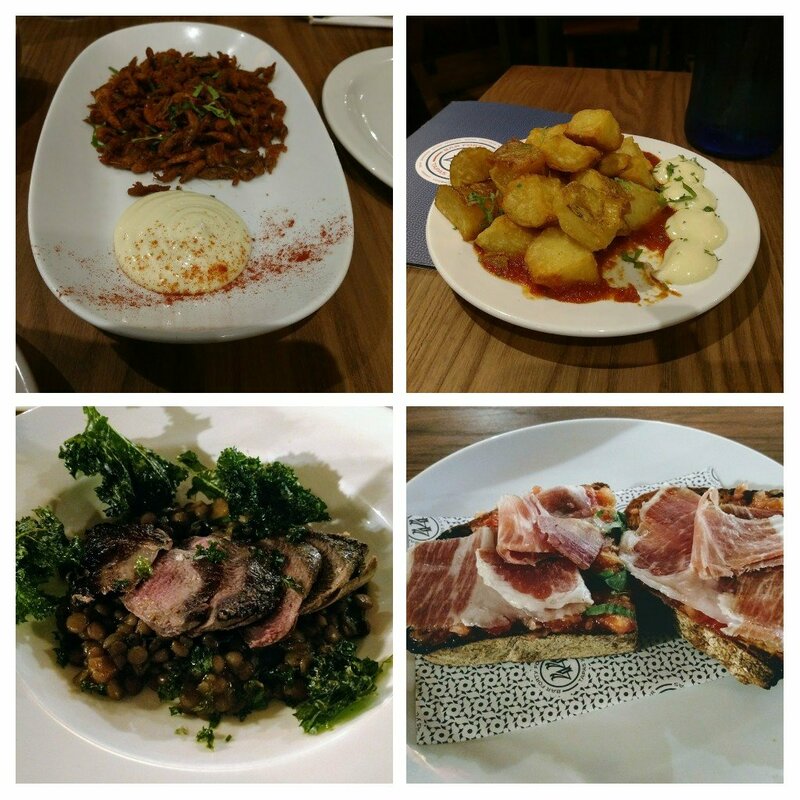 Something for everyone with meat, fish and veggie stuff (shame out of four mains one attracts the dreaded supplement – not a fan of these as a fixed price menu should be just that, no ifs no buts). 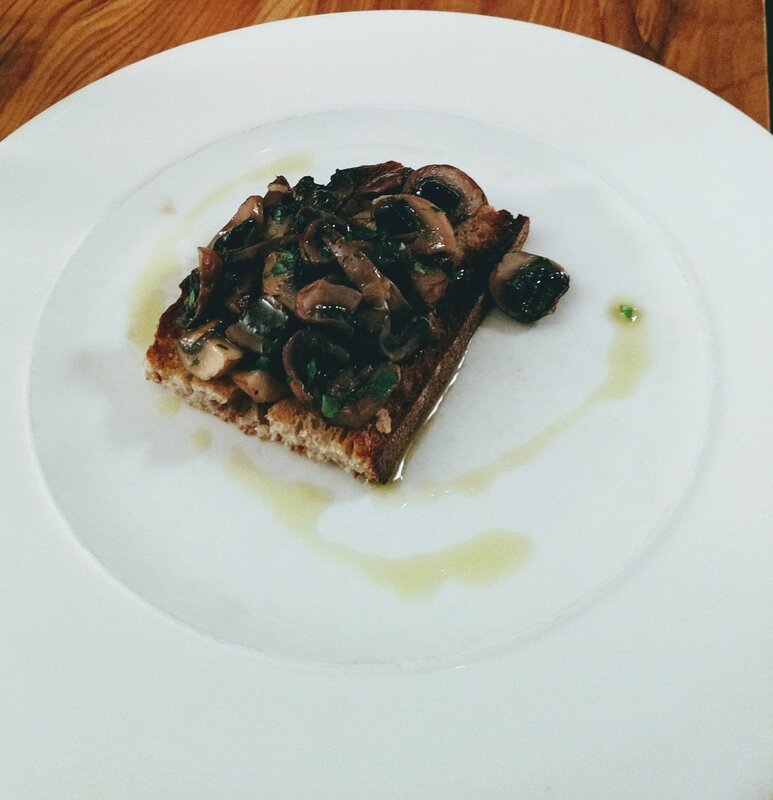 and some very garlicy truffles mushroom. 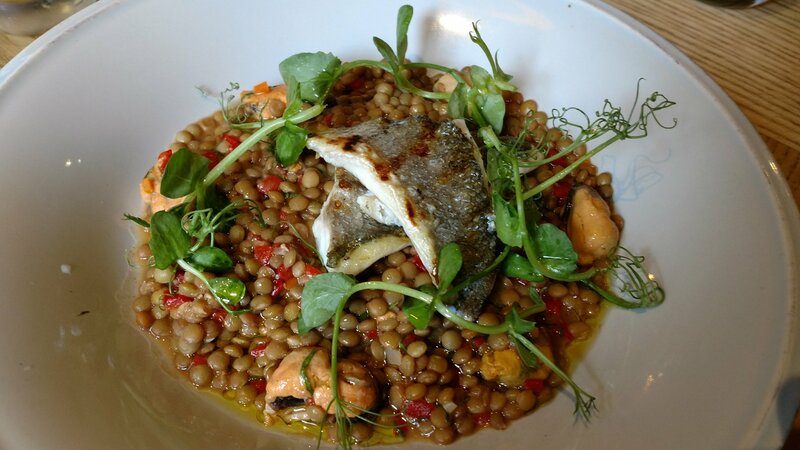 On the mains front, sea bream was cooked on the money, with chorizo adding a nice piquency rather than overpowering the fish. 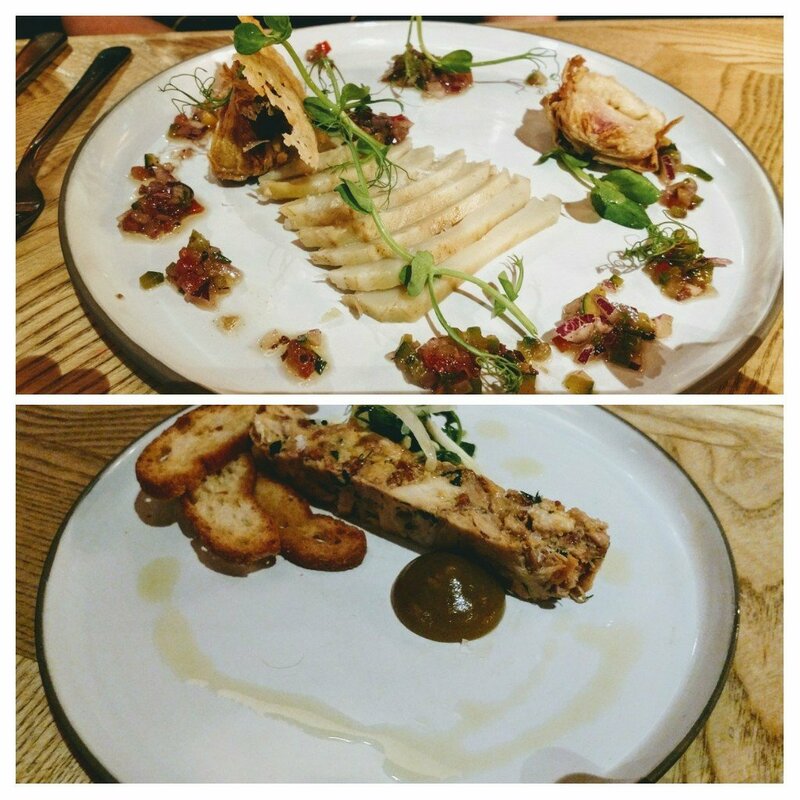 If you go to a place called the Potted Pig it is perhap not a bad idea to order something porcine. 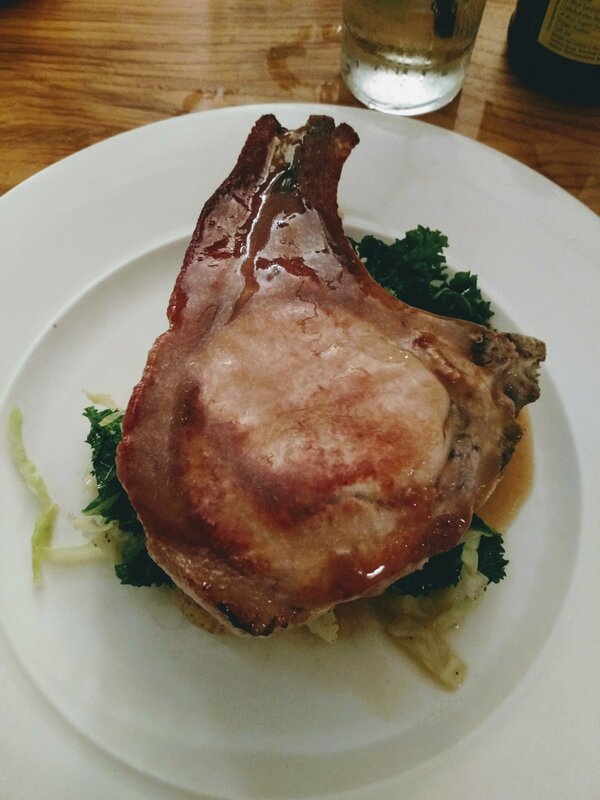 The current menu had on it a rather fulsome pork chop, cabbage and roasted new potatoes and gravy dish. This was a nicely sized and well flavoured piece of pork and the accompanying veg made for a nice bit of comfort food. Good value for £13, I though. 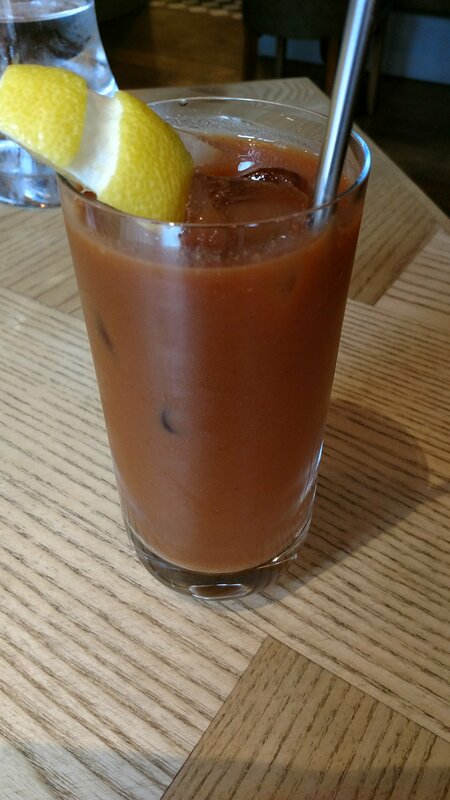 For a non boozy lunch (the norm for me), there is a reasonable amount of soft drinks (perhaps a tad on the pricey side) over and above your standard sodas. Very good lunch option, slap bang in the city centre. Popular, with good reason. 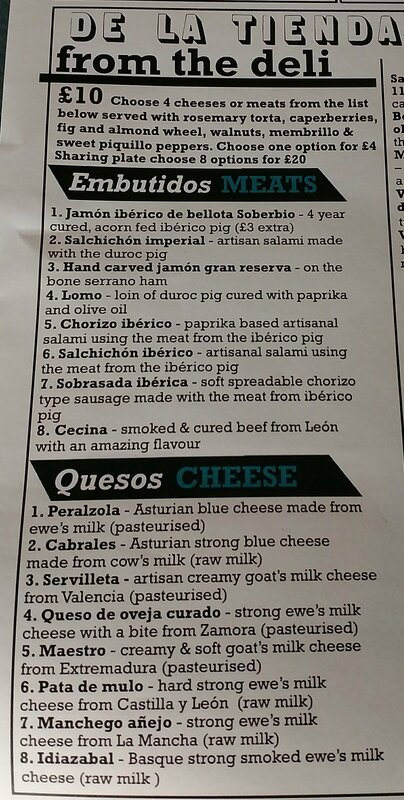 As with Asador 44, great to see this lunch offer extending to Saturdays. Available: Tue – Thur: 12.00 – 14.00; Fri – Sat: 12.00 – 14.30. Situated to the south of the Station and thus away from the city centre this is a gem to a restaurant. 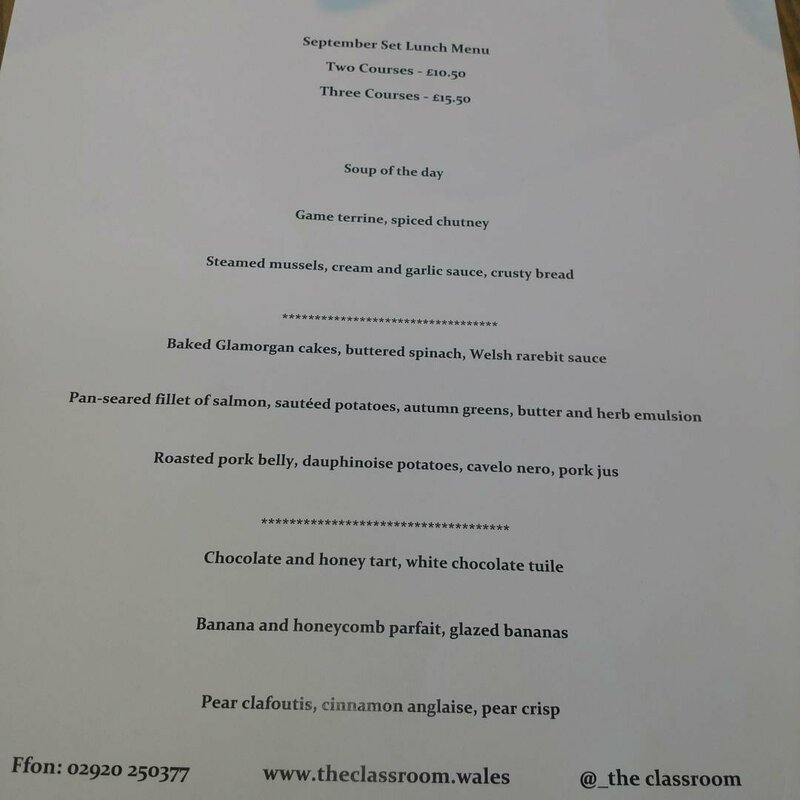 Part of the Cardiff and Vale College campus on Dumballs Road, the Classroom (part fine dining, part training initiative, all good food) is a place that Mr. Raynor waxed lyrically about when he reviewed it. 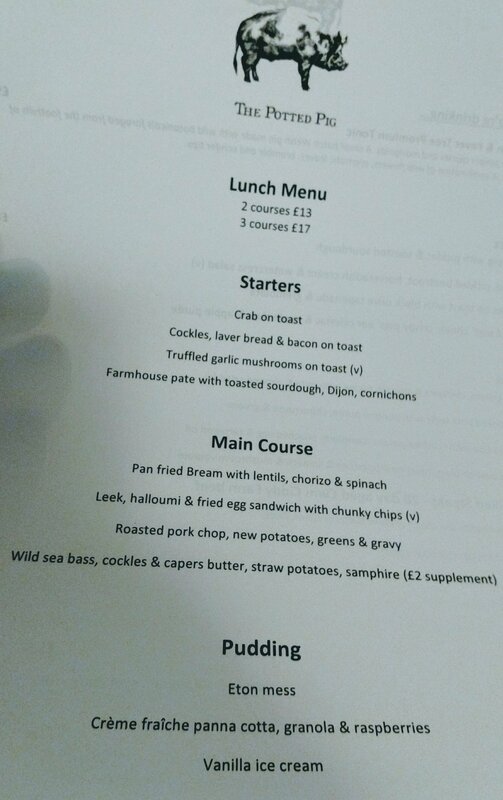 I have only been for lunch, when they do an absolute stonker of a deal of 2 courses for £10.50 (3 for £15.50). UPDATE – As at Feb 2018 prices have gone up to £12.95 for 2 course and £17.95 for 3 course. Still incredibly good value. 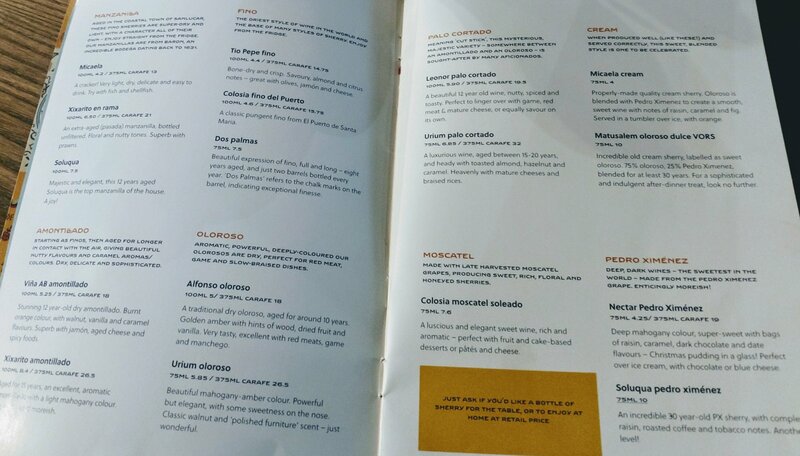 For the price you would be forgiven for expecting a by the numbers menu. Far from it, with a quarterly changing menu (to reflect the seasons) coming up with some top quality dishes. 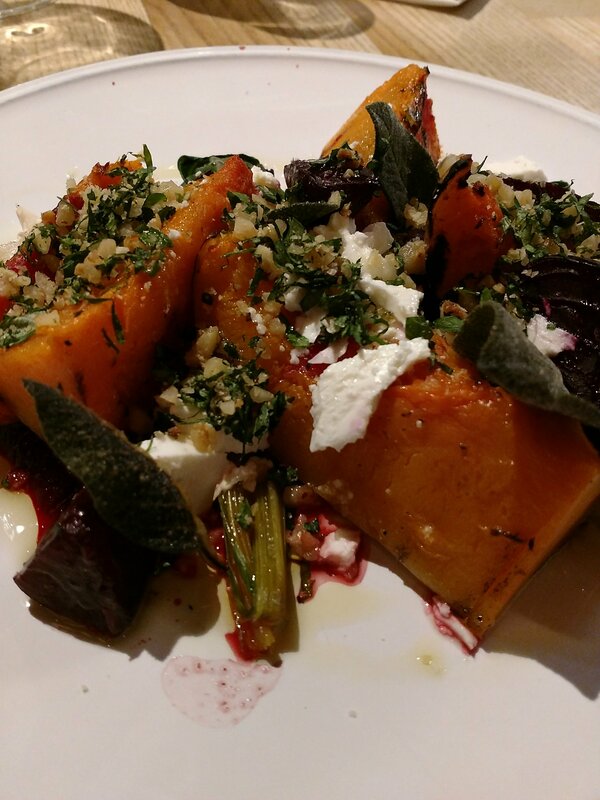 On my most recently visit, the Autumn menu offered some lovely sounding dishes. All beautifully presented and cooked and representing fantastic value for the £10.50 price tag. If you are feeling indulgent, the puddings look rather nice. 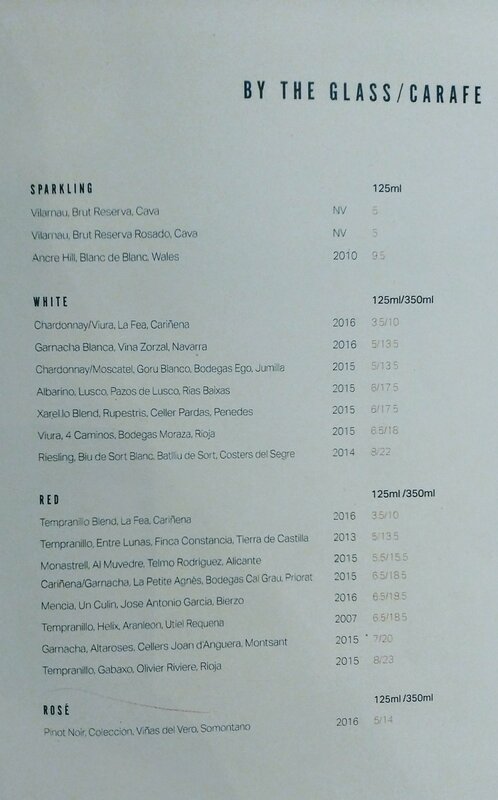 On the drinks front there is a decent enough wine list (which extends to 8 pages – regrettably no sherries on it 😒), with a number by the glass. 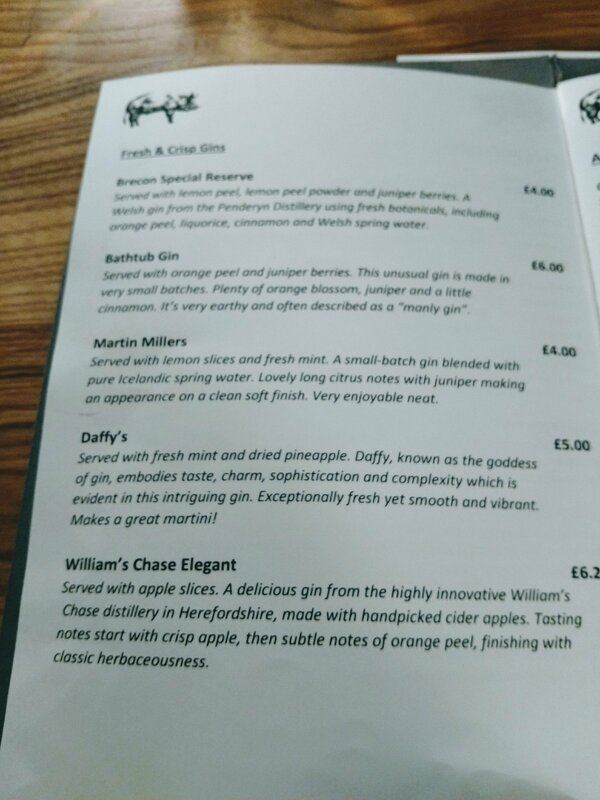 Soft drinks are the usual suspects in terms of sodas etc., Although they do also do a couple of interesting sounding mocktails as part of the wider drinks selection. 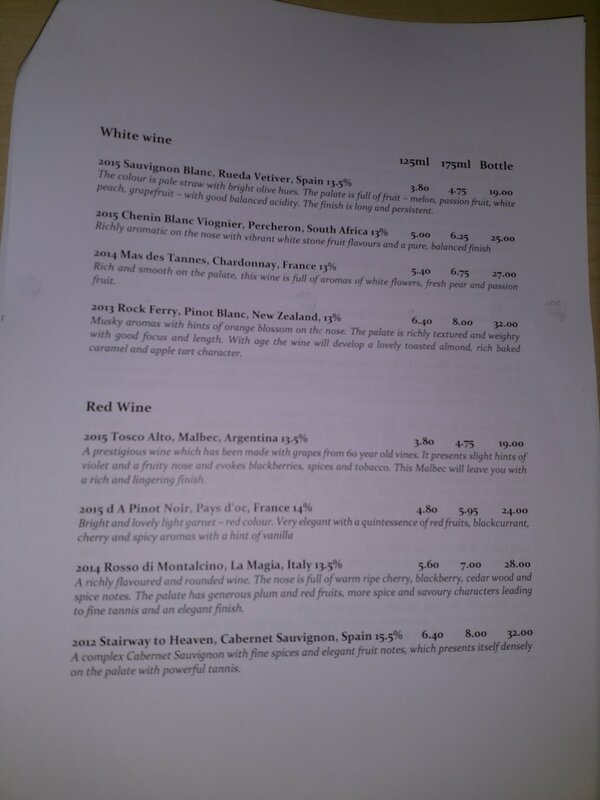 Sound nice sounding cocktails (Bloody Mary should have a drop of fino it is in my opinion) and beers also feature. 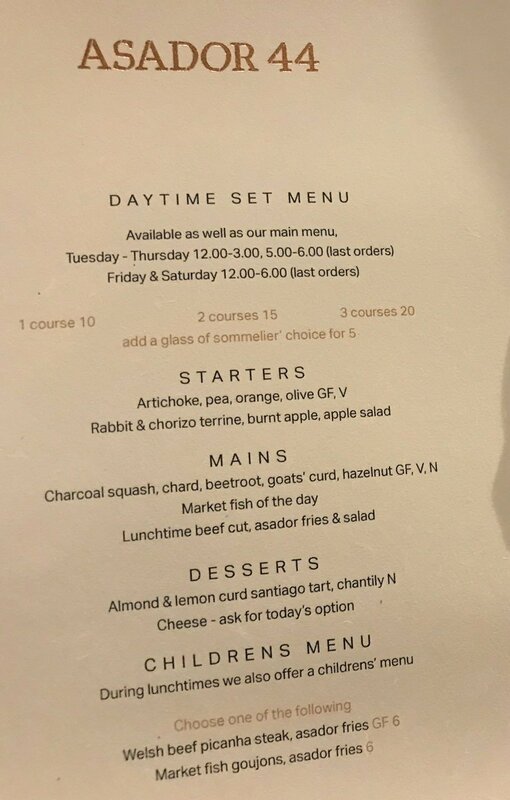 There is no doubt that this is one of the best value lunch at the moment in Cardiff City centre, with the added benefit of it helping bring forward the next generation of chefs and front of house staff. Again I believe this lunch offer extends to Saturdays. 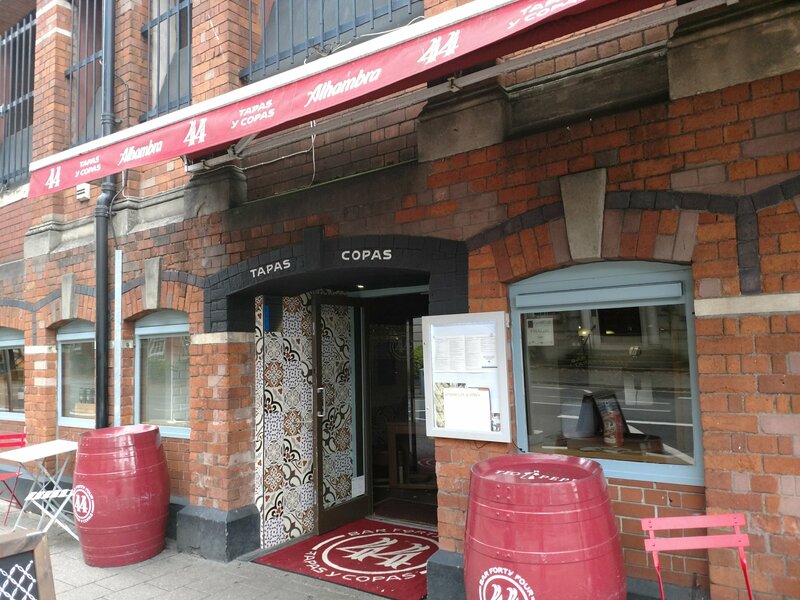 One of Cardiff’s perenial favourites, Bar 44 is fabulous for a quick snack (with a sherry perhaps) or for more of a blow out. 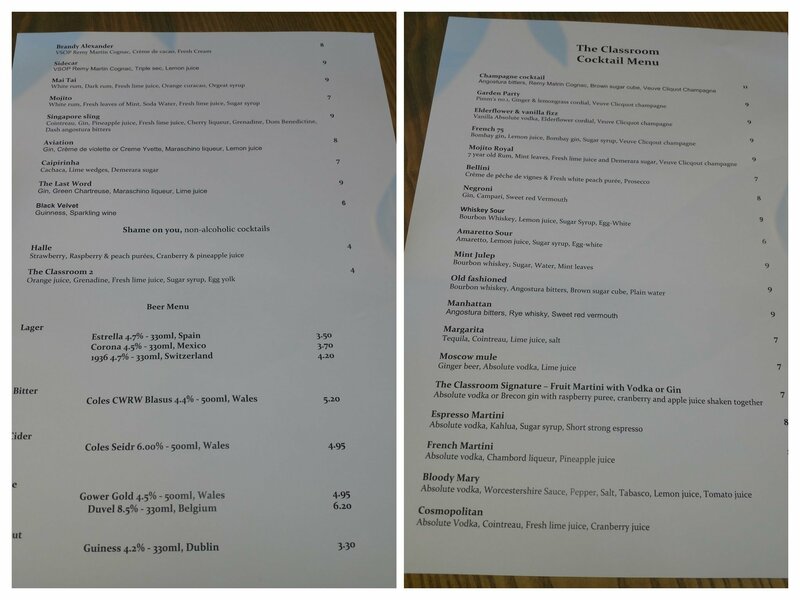 For lunch they do a fab express menu, which offers 2 dishes for £8 deal (recently introduced). The traditional favourites are in the offer, with pan con tomate y jamón, patatas bravas, croquetas, cured meats and cheeses, as are some more exotic items such as camarones (crispy fried baby shrimp from Cadiz), atun (spiced seared tuna) and paloma (dove) breast. 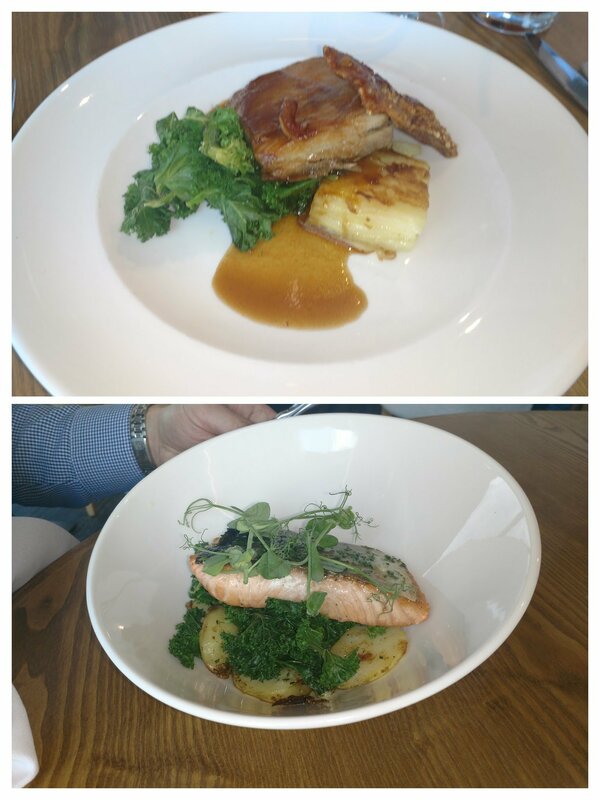 If there are two of you, you can get a very nice selection of dishes for a very pleasing £8 each. 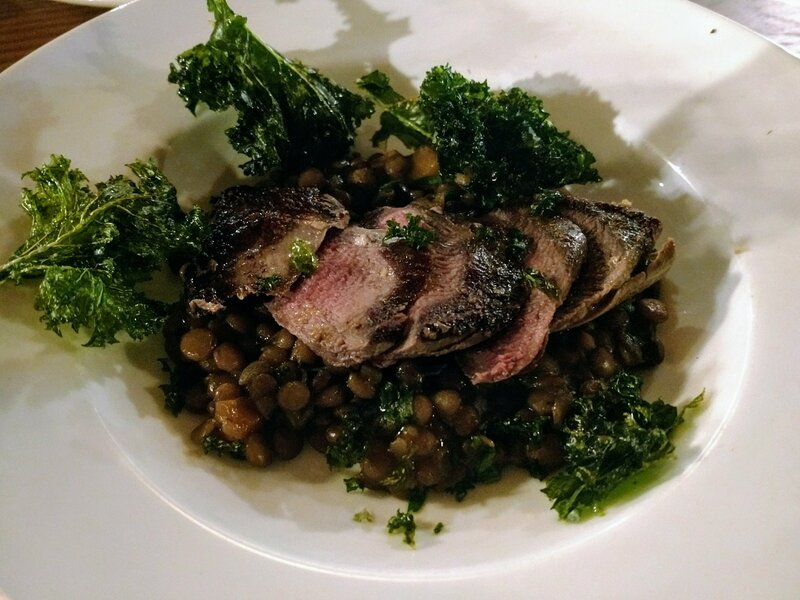 The paloma (dove with sherry braised lentil and crispy kale) I had on my last visit, in particular, was an absolute corker flavour wise and a good size. 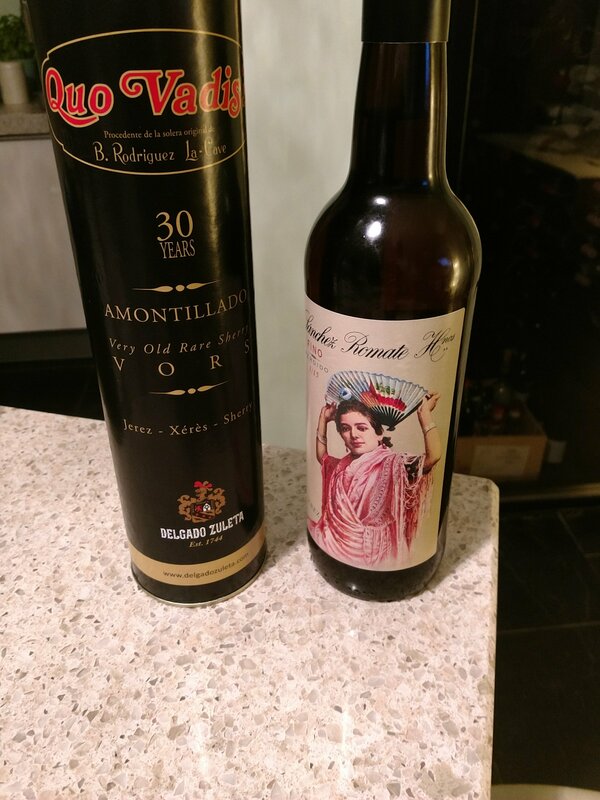 Spanish gins, beers and wines. 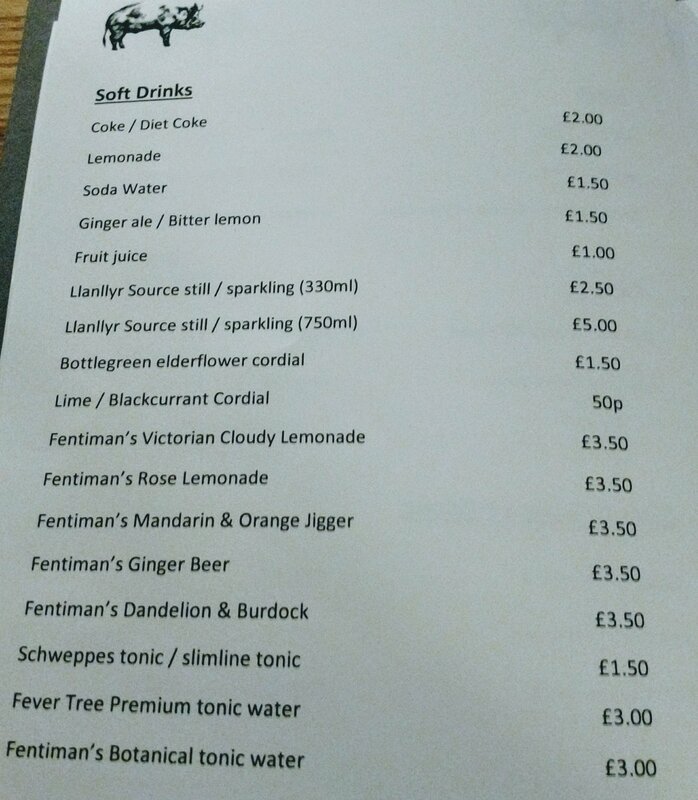 There is also a good selection of soft drinks, if not drinking booze ( I had a coke on my last solo lunch time visit as it was mid week). Lovely food and good size portions make this a really great spot for lunch. 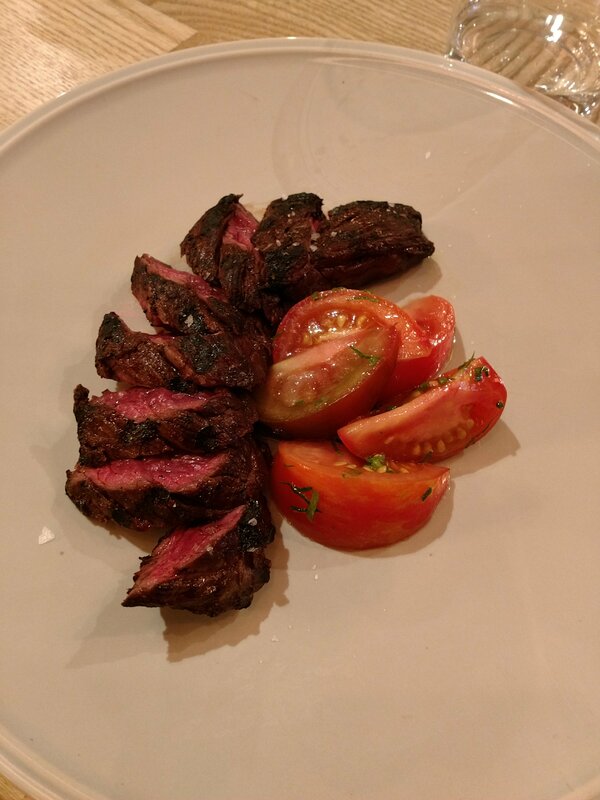 The express menu is great value – I paid (with a soft drink) on my last (solo) visit under a tenner – and stunningly good on the flavour front. A touch of Donostia San Sebastian’s pintxos bar scene in Cardiff, this place is a stone’s throw from the station and one of my favourite haunts (along with Bar 44) for a glass of sherry, vino or a beer in the City Centre. More a bar that does food than a restaurant, they still do a variety of food (all day), including a rather fine charcuterie and cheese plate which makes for a lovely lunch time treat. and lots of lovely extras. 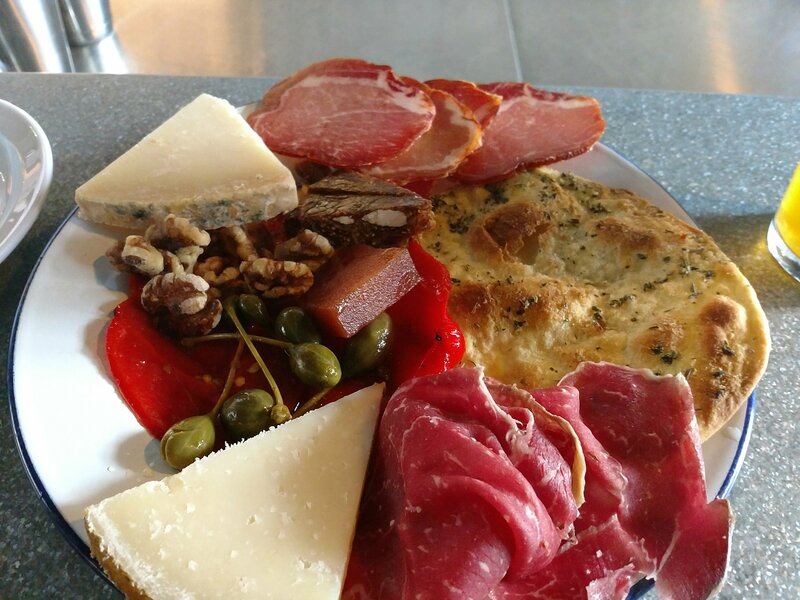 Think piquillo peppers, rosemary torta, capers and nuts on top of you meat and/or cheese choices (you can mix it up as much as you want). Good portion size and easy to share if you are not a pig like me. Decent selection of booze and as they do smaller sized cana and tercio for the beers you can have a cheeky one (they also have a innovative soft drinks selection). The deal is further sweetened by the fact that you get 20% off in the deli if you eat in the place. Lots of goodies on the food and drink front to be had and if you buy wisey the £10 lunch plate can turn into a total bargain. I rarely resist picking up something from the deli. Address: 2 Guildhall Place, Cardiff, CF10 1EB. Personally I think if you fancy a good value and quality fixed price lunch in Cardiff city centre, you have plenty of very decent options. These are the place I go back to time and time again for lunch and my advice is forget the “tongue firmly in cheek” Jay Raynor suggestion that the train out is the best option and make time for lunch at one of these place. Do them a favour though. 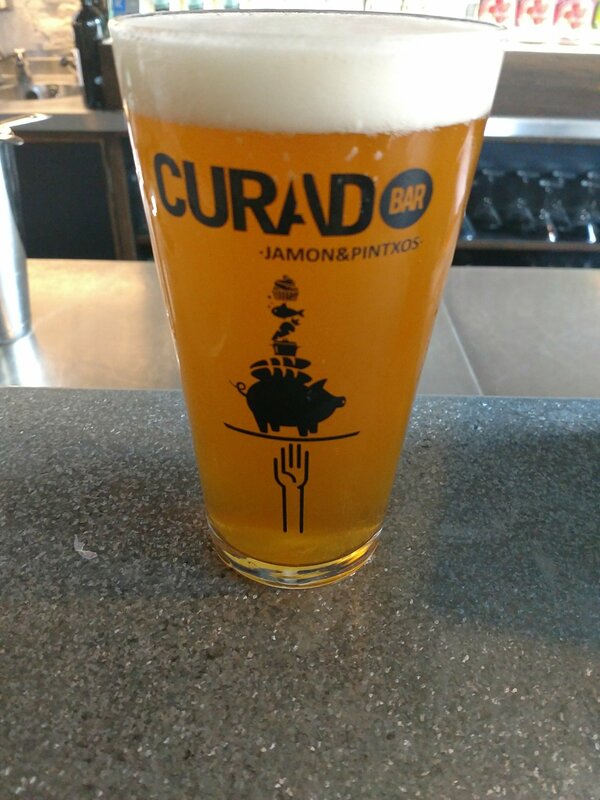 If you book a table (which you can at all bar from Curado) and then can’t make it, give them a ring and cancel. Most restaurants survive on razor thin margins and no shows can obliterate those margins. A survey in 2015 indicated no shows cost the UK restaurant industry an eye watering £16 billion and I suspect the position is even worse in 2017. It’s only fair as it gives them an opportunity it get another booking in if you can’t make it. 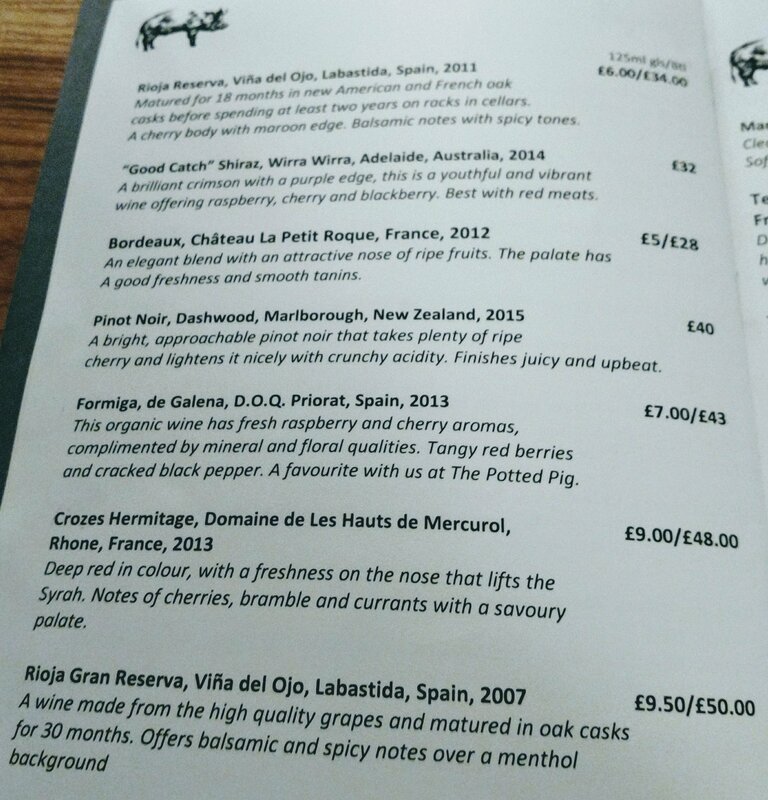 This entry was posted on Nov 12, 2017 by solicitingflavours in Alcoholic drink, Asador 44, Bar 44, beef, Beer, Cardiff, Cardiff and Vale College, Cardiff restaurant, charcuturie, cheap eats, cheese, Curado Bar, discount menu, Drink, Dry aged beef, Dry white wine, Fine dining, Fixed Price Menu, Food, Food and wine products, game, Lunch, lunchtime, Moules, Mussels, Non alcoholic drink, Potted Pig, Red Wine, restaurant review, retail, review, seafood, Sherry, Spain, Spanish wine, steak, Tapas, Tapas bar, The Classroom, Uncategorized, Wales, White wine, Wine, wine pairing, wine pairings.